David Henderson joined Caristia, Kulsar & Wade, LLC in 1991 after leaving the Hartford, Connecticut office of KPMG as a tax manager and has been a Member of the firm since 1996 and is currently the firm's Managing Partner. As Managing Partner, Dave sets a clear and strong tone from the top, focused on quality, integrity, and professionalism. 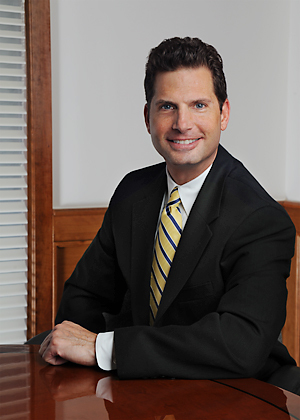 Dave has over twenty years of experience in a wide range of industries and focus sectors including real estate development and leasing activities, construction, medical professionals, tax exempt organizations, estates and trusts, and high net worth individuals. As Quality Control member for the firm’s Accounting and Auditing practice, Dave oversees the development, implementation, and monitoring of standards applicable to all accounting and auditing engagements. Dave also offers strategic and tax planning for closely held businesses along with integrated personal financial planning to business owners. Dave is a Certified Public Accountant in New Jersey and a member of the American Institute of Certified Public Accountants (AICPA) and the New Jersey Society of Certified Public Accountants. Within the AICPA, Dave is a member of the Governmental Audit Quality Center which is committed to assisting members in achieving the highest standards in governmental and not for profit audits. Dave currently serves on the Board of the Caristia, Kulsar & Wade Charitable Foundation which raises money for emergent and other charitable needs of children and families within Sussex and Morris counties. He served on the Board of the SCARC Foundation from 1997 –2007 and has been active in coaching youth sports in Sparta, New Jersey. Dave is a graduate of the University of Hartford and worked in both the audit and tax departments of KPMG prior to joining the firm. Dave grew up in Wantage, New Jersey and now resides with his family in Sparta.